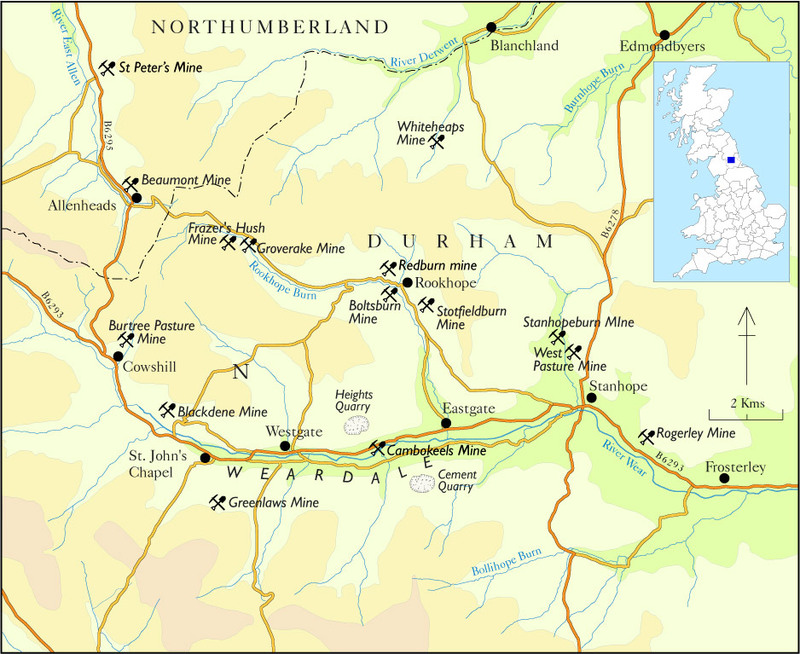 The mining of Lead, zinc and latterly fluorite and barytes in the North Pennines is well documented going back at least 700 years and possibly back to Roman times. During much of that time however mineral working has been on a small scale and sporadic. Mining activity in the North Pennines reach a peak in the late 18th and early 19th century with two principal companies – The London Lead Company and the Beaumont companies employing several thousand men, women and children primarily working the mines for lead. By the end of the 19th century increasing costs and competition from imported ores led to a decline in the industry. Some mines were able to exploit the zinc ores to extend their life but it was the discovery in 1880 of the fluxing properties of fluorspar in steel making that revived the mining industry. Fluorspar mining began in 1882 by the Weardale Lead Company and it was they who remained the principal producer throughout the first half of the 20th Century. After the Second World War other private fluorspar operations were consolidated and taken over by British Steel Corporation. In 1964 The mining interests of Weardale Lead Company were taken over by ICI which were in turn taken over by Swiss Aluminium (SAMUK). Much development work to find new deposits was carried out by SAMUK but In 1982 all mining interests in fluorspar came into common ownership when Minworth Ltd. took over those interests and also those of BSC. Minworth concentrated their efforts on Frazer’s Hush and Cambokeels Mines with a processing plant at Broadwood. The company expanded rapidly buying a fluorspar mine in Canada and worked the Strontian deposit in Scotland. However before the decade was out they went into liquidation and Sherburn stone worked the two remaining mines until final ending fluorspar production in 1999 with the closure of Frazer’s Hush mine. 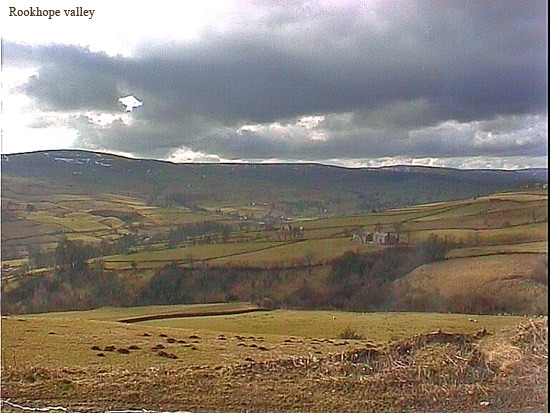 Weardale was never a significant barytes producer, mining for bartyes being on the periphery of the area in Teesdale and Alston Moor. 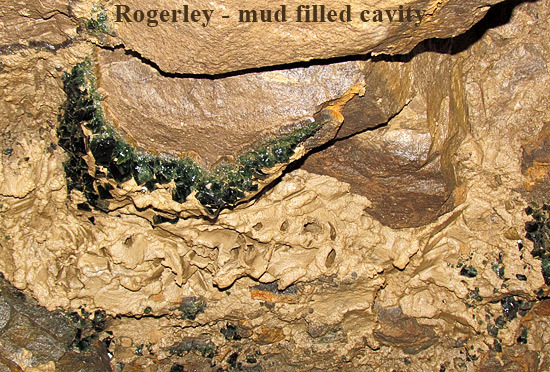 The only present-day activity are specimen retrieval operations at Rogerley and at Greenlaws plus a large-scale limestone quarrying operations which periodically hit mineralised ground. The North Pennine Orefield occupies an area of approximately 1000 Km2 within the Alston block — an area of relatively stable sedimentary rocks bounded to the North and South by faults forming the Northumberland and Stainmore troughs, to the West by the Pennine escarpment faults and to the East by Westphalian (Upper Carboniferous) rocks of the Durham coalfield: These sediments comprise cyclothem sequences of limestone, sandstone and shales deposited during Namurian/Dinantian (mid/lower Carboniferous 300 — 340Ma) times. The sediments overlie lower Palaeozoic basement rocks into which during Devonian times several granite cupolas were intruded. Isostatic adjustments of the granites rising against the overlying sediments caused the sediments to gently buckle creating a specific geometric fracture pattern. Temperature differentials between the granite and surrounding rocks led to the development of large scale convective cells whereby salt water brines expelled from overlying and surrounding shales migrated to considerable depths within the granite, leaching and forming complex mineral bearing solution before being forced upwards into the overlying fractures. As temperature/pressure conditions reduced minerals crystallised within the fractures into specific zones with a central fluorite/galena zone closely outlining the extent of the warmer Weardale/Tynehead granite cupolas, surrounded by a lower temperature zone of barite mineralisation. The fluorspar veins are commonly 2-3m in width, and can be up to 20Km in length. The main fluorspar mineralisation occurs as ore shoots within the vein structure with the location of such oreshoots being controlled by the coincidence of competent (sandstone/limestone) wall rocks with favourable fault orientation reopening fractures. metres. Throughout the orefield three distinct horizons in the Great Limestone are prone to flat mineralisation often with large crystallised cavities. At Boltsburn mine flats extending for some 7,700 ft along the vein and up to 200 ft from it, producing some of the finest fluorspar specimens in the world. More recently in the 1980’s, at Frazer’s Hush mine a huge cavity was hit lined with beds of purple fluorite and smaller quantities of galena, calcite and sphalerite whilst, on the 325 level at Cambokeels, zinc-rich flats were discovered containing superb fluorite and calcite Here, after mining started in the flat, the drillers complained to the management that they couldn’t work the area because the drill rods kept disappearing into cavities! Specimens from classic Weardale locations are becoming increasingly difficult to find due to the end of commercial mining. Worked by the British Steel Corporation and known for its specimens of lustrous wine coloured fluorite partially covered with sphalerite and siderite found in the early 1970’s from Diana vein. These were apparently a pale green colour when first brought out. Opaque purple fluorite cubes came from Henry’s vein. The mine closed in 1979. Also worked by BSC and well known for its distinctive semi-transparent purple fluorite cubes tinged a honey brown colour. Specimens show cubes up to 6cms often associated with bright, modified galena crystals. Occasionally 2-3 cm amber fluorite twins occurred with green centres and exceptionally green and light blue zoning, the latter from a single cavity found when driving the incline. Larger cubes occur up to 15 cms, but are usually opaque purple and white. It also produced elongated purple ‘floater’ crystals, forming towers. A characteristic of some fluorite specimens from here is that they are dusted with small chalcopyrite crystals. From Silverdykes vein an offshoot of Slitt vein specimens of a pale yellow colour were found. Other minerals from here include groups of modified bright galena crystals, the best found in a cavity at the bottom end of the incline. Calcite occurred in many forms sometimes with curved crystal faces and usually coating earlier fluorite whilst rarely large sphalerite ‘balls’ were found up to the size of footballs. The mine closed in 1987 all the recent workings off the incline now being flooded. Possibly produced the most varied range of colours in fluorite (except deep green) with some of the largest and finest cubes ever found. Some were of such quality that they were used in optics. Many other aesthetic specimens with fluorite cubes partially coated with siderite, galena, sphalerite, pyrite and occasionally chalcopyrite occurred. Also known for calcite crystal stalagmites. Although the flats were not exhausted, for economic reasons the mine closed in 1932.
true potential as a specimen producer. These lower levels produced some of the finest pyrrhotite crystals found in Britain. The 325 ‘zinc flat’ level yielded many excellent specimens of clear to turquoise fluorite crystal groups with colour-zoning and high lustre, often dusted with pyrite or coated with small sparkling quartz crystals or calcite. Chamosite of a grey green colour frequently was a late stage coating to the specimens, the miners usually removing this with acid. Although rich in zinc only small crystals of sphalerite were found in the flat and galena seems to be absent. On the 340, the lowest level, unusual deep pink transparent twinned fluorite cubes on quartz were found. Cambokeels was the deepest mine in Weardale, these lower workings being below the Whin Sill. All levels at Cambokeels produced fine specimens of calcite in many different habits, probably the best in Weardale. Zeolite specimens are also recorded. Cambokeels mine closed in 1989 and all the lower levels driven off the incline are now flooded. Fluorite specimens were predominantly green in colour although occasionally rich transparent yellow specimens with a clear outer zone were found. Purple phantoms are common in the green fluorite from here, which is a useful way to help distinguish specimens from those occurring at the nearby Heights quarry as is their darker colour in artificial light. Overall the specimen quality is poorer than Height’s material due to many specimens showing surface etching possibly caused by acidic solutions in the surrounding mud. The quarry closed in 2003 and is now being heavily landscape to remove evidence of quarrying. Anglesite is relatively rare in Weardale but at this location well crystallised specimens occur with crystals up to 5 or 6mm. The cavities occur in large lumps of galena up to 20cms with cerussite, the galena left over from when the mine closed, presumably there not being sufficient ore to warrant taking it to the smelter. Quite a prolific specimen producer, especially since the 1980’s when Weardale Minerals Ltd. acquired the operation. Many specimens came out of a single huge cavity hit during 1990 in the Great Limestone, stretching from the 340 level down to the 325 level, which produced beds of transparent twinned purple fluorite crystals typically up to 4 cm some coated with calcite, sphalerite or galena crystals. Elongated ‘Floaters’ often with stepped crystal faces similar to those found at Blackdene were found, but sparingly. Some of the largest cubes in Weardale came from Frazer’s - I have seen near complete cubes 25cm (10”) across and 10-15cm (4”-6”) cubes were not uncommon. Levels here were assigned numbers calculated from the depth in fathoms that they were below sea level so the numbering of the levels decreased with depth. 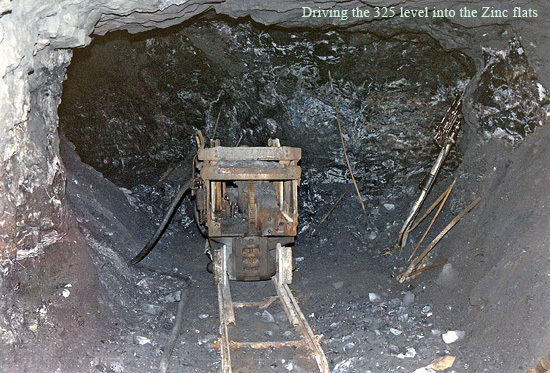 However, confusing, at Cambokeels the level numbering was calculated as the vertical distance from the entrance to the mine so a level with a higher number refers to a deeper level. The last level to be worked, the 260 level produced small but outstanding purple fluorite groups. The mine closed in 1999 making it the last commercial worked mine in Weardale. A number of attempts have been made to re-work the mine for specimens and a very active dig is currently (2012) taking place. Earlier efforts produced some large purple cubes but few of the best quality. Old records suggest there are extensive flats in the mine containing amber and purple fluorite. Groverake mine produced characteristic specimens of colour banded chalcedony often coating large cubes of fluorite with a second generation of smaller cubes. Quartz crystal beds were common. It has been worked sporadically for most of the 20th Century, Weardale Minerals re-opening it in 1985 working it in conjunction with Frazer’s Hush until closure in 1999. This quarry and mine have produced some of the finest quality specimens of lustrous green fluorite with inter-penetrant transparent cubes typically to 4cms. Also purple and colourless fluorite some with included ‘bubbles’. The appeal of many of Heights specimens were the aesthetic combination of fluorite with other species such as galena or calcite. Very large green opaque fluorite crystals up to10cms were found in the West Cross vein. Early specimens from here were from Heights mine which worked ironstone flats north of the quarry although as the quarry expands it occasionally breaks into the old mine workings. Generally small fluorite cubes came out when the quarry was active and noted for the occasional larger twins up to about 3cms of an unusual transparent dark blue/violet colour. Currently being re-worked on a small scale for limestone. Beds of small purple fluorite crystals usually on quartz. Also produced some excellent specimens of ‘Jack-straw’ cerussite. Closed in 1981.
specimens, green being the predominant colour. The mine has proved to be a prolific producer of specimens some of which are of the best quality found in Weardale and are highly fluorescent. The green fluorite comes mainly from flats found to the sides of the vein but the vein itself sporadically turns up large purple or amber fluorite cubes with quartz. Galena in both cubic and octahedral habits occurs here as does crystallised and Flos-ferri aragonite. Specimen quality fluorite was not common from Stotsfield Burn but occasionally lustrous, transparent grey-green and grey-purple fluorites turn up for sale some of which are comparable in quality to the best Frazer’s or Blackdene pieces. Galena specimens were also found consisting of modified cubes to 3 cms and occasional cerussite specimens similar to Red Burn. 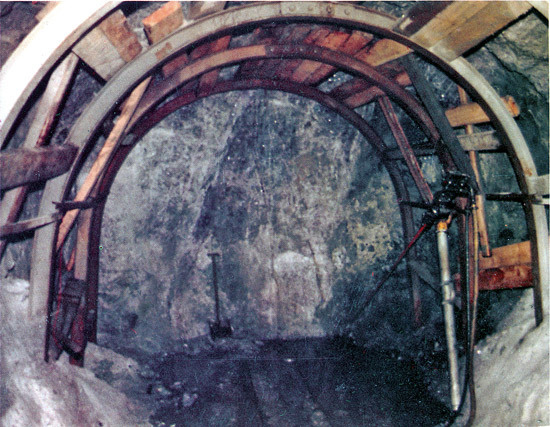 The mine closed in 1966. 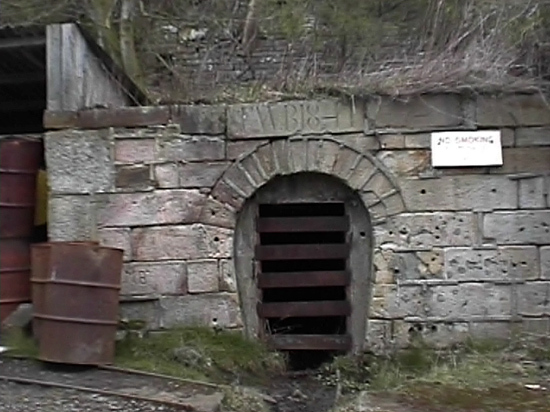 St Peter’s Mine, East Allendale. Beautiful apple-green fluorite cubes have been collected from the flats in recent years although the entrance has now partly fallen in. The colour is particularly unstable in sunlight and alters to a pale purple-brown. Also larger purple fluorite crystals. Light pastel coloured groups of fluorite with crystals up to 4cms and occasionally of a deeper purple colour. Sphalerite and calcite specimens but rarely galena. Closed in 1980.